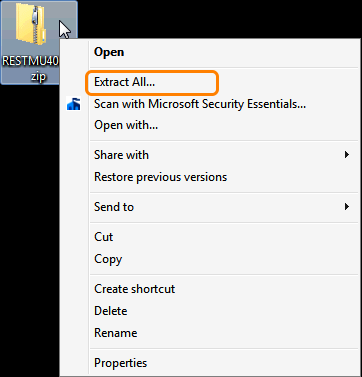 Right click and choose "Extract All". as you will be able to reassign records to a different user at the end of the update process. Choose the User record you want to delete and click the Delete Key (top right side of screen). This can be done in List view or Detail view. 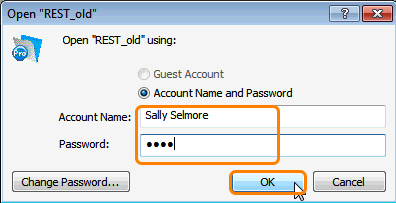 Be sure you are on the User record you want to delete! This can only be performed with an Owner-level Access! Start Menu>My Computer>C Drive>Program Files. If these files are hidden, reveal. a. 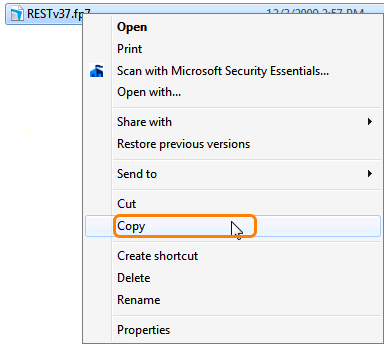 Copy the REST.fp7 file (control-c or right-click). 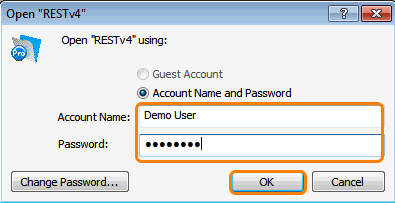 Example shows the RESTv37.fp7 file. Yours may be another version. b. 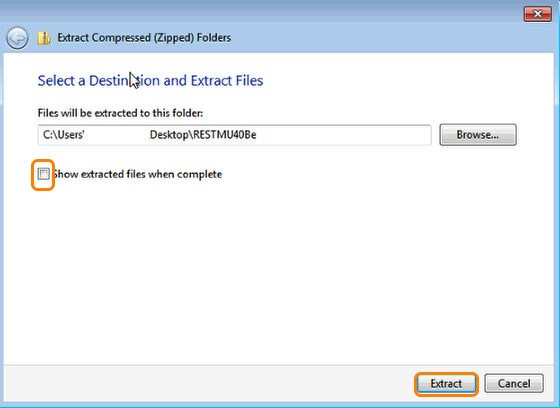 Paste the .fp7 file to your desktop (control-v or right-click). 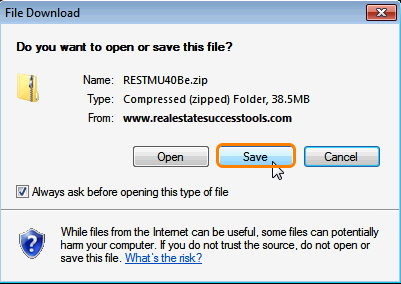 From the Tools Menu: Select > Folder Options. 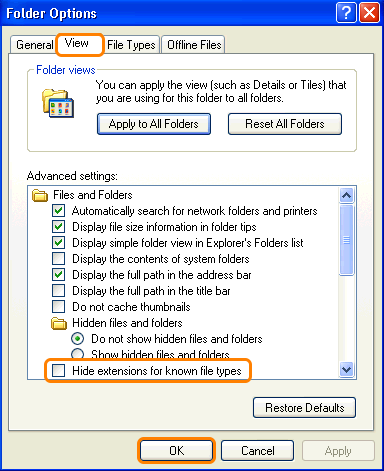 Un-check "Hide extensions for known files. 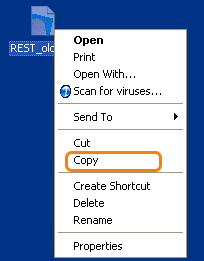 Copy (or drag) the REST_old.fp7 file into the NEW RESTMUv40 folder you downloaded. 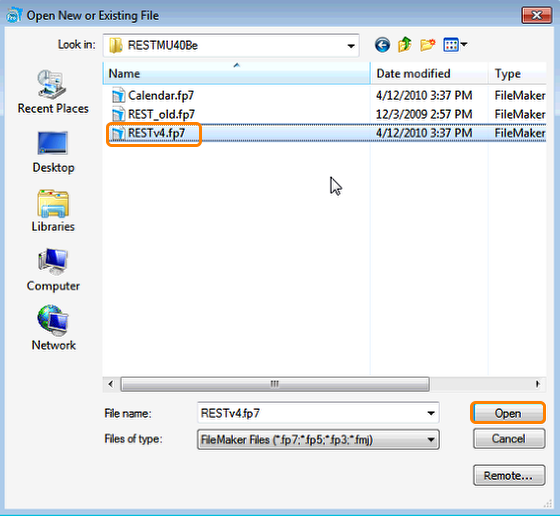 With REST_old.fp7 now located in the RESTMU 4.0 folder, you are ready to run the updater. 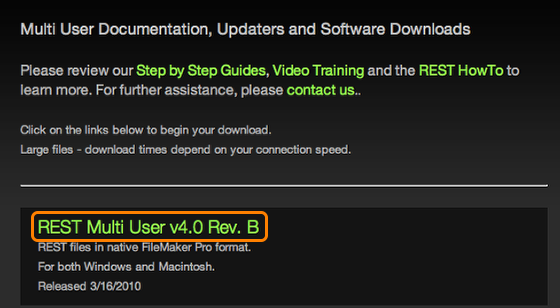 Launch FileMaker Pro from shortcut on desktop to open the REST4.0 File. 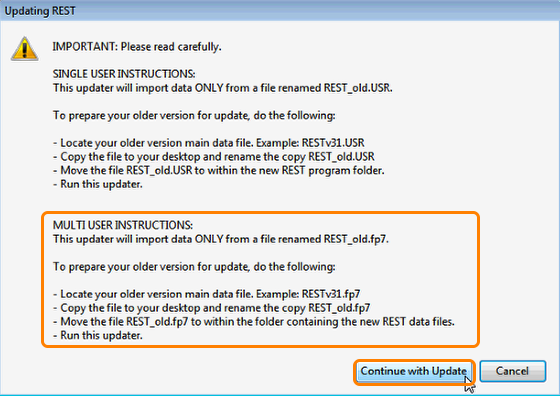 a. Click "No, do not include" if your current version of REST already has the 29 sample REST Mail Templates.